Tadpoles eat algae, small insects and aquatic larvae of insect species. © 2016 San Diego Zoo Global. Thank you to Dr. Natalie Calatayud for providing expert content review of this fact sheet. At the time of this writing, Dr. Calatayud serves as a Postdoctoral Associate in the Institute for Conservation Research’s Reproductive Physiology Division. Her research interests include reproduction, endocrinology, and nutrition in frogs and toads. 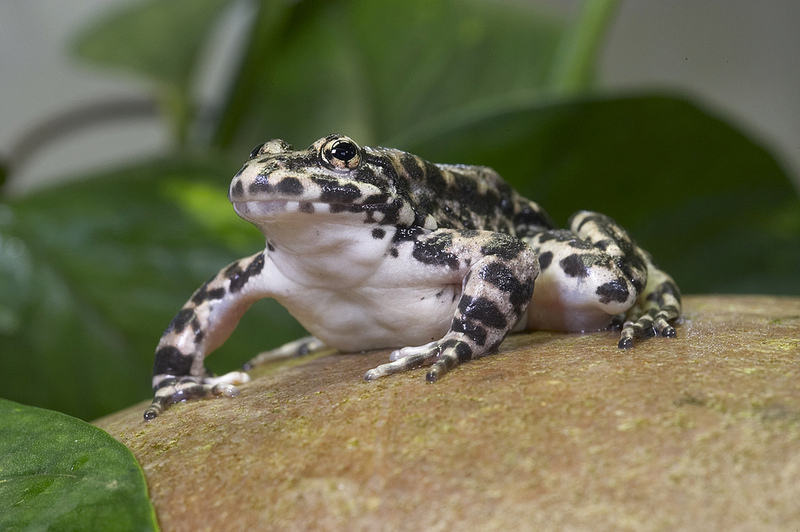 Natalie’s main research focus is the recovery and reintroduction of the endangered mountain yellow-legged frog. In addition, she acts as a consultant for the Colorado Division of Parks and Wildlife’s boreal toad recovery team. Dr. Calatayud earned her Bachelor’s degree in Zoology from the University of Manchester and her Doctoral degree in Reproductive Physiology and Molecular Biology at Melbourne University.